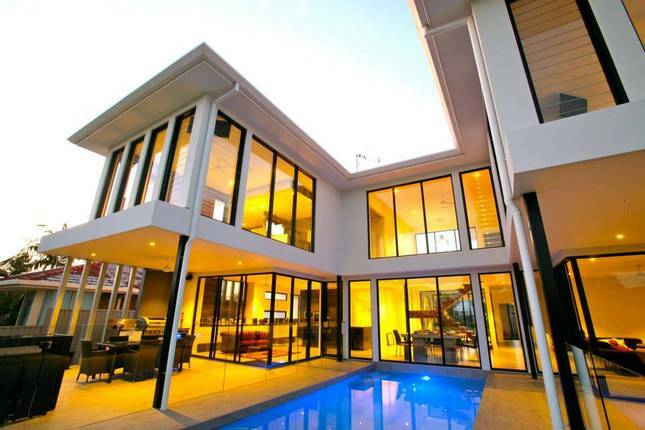 Canal front living on the Gold Coast is all about relaxed sophistication. 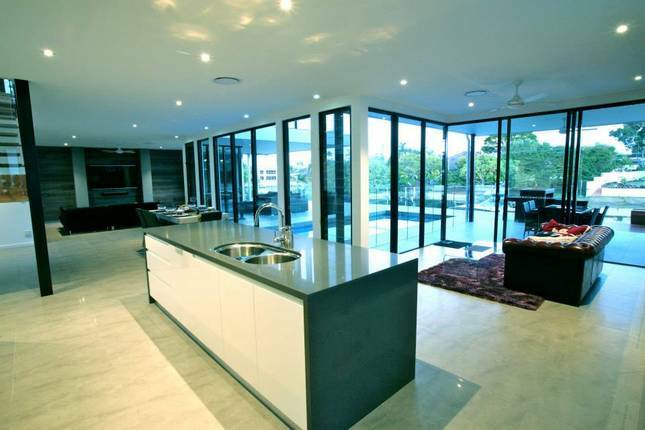 This recent contemporary house design in Broadbeach, completed by our expert builders, is all that and more. An inviting, double-door entry opens into an airy expanse of open-plan living, with ceiling to floor windows making for plenty of natural light. 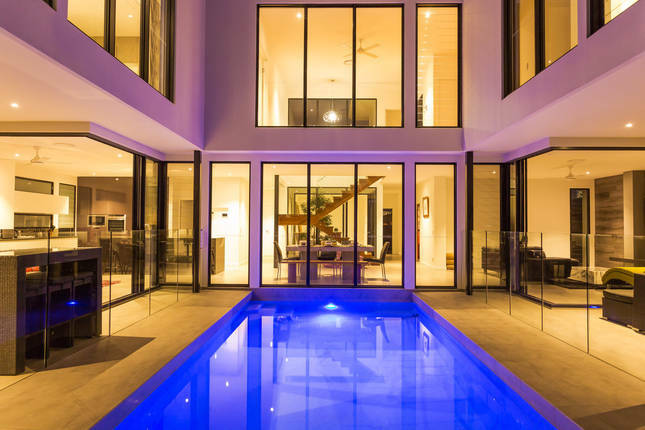 The U-shape design of the waterfront home wraps around a modern in-ground pool and entertaining area, taking advantage of the canal views from almost every room. 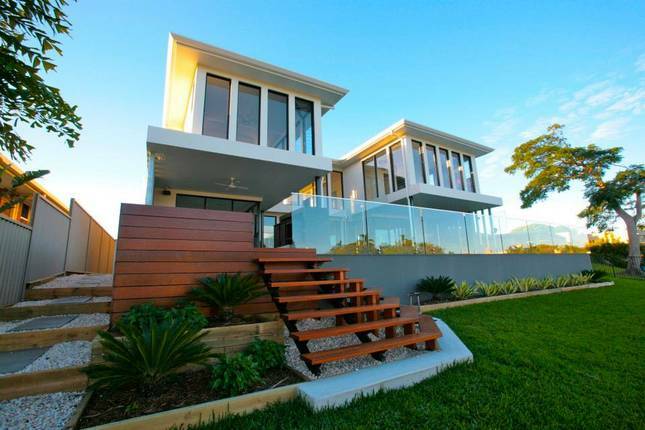 This Broadbeach canal front home, fit with custom-made finishes and state of the art technology, is a dream for modern dwellers. 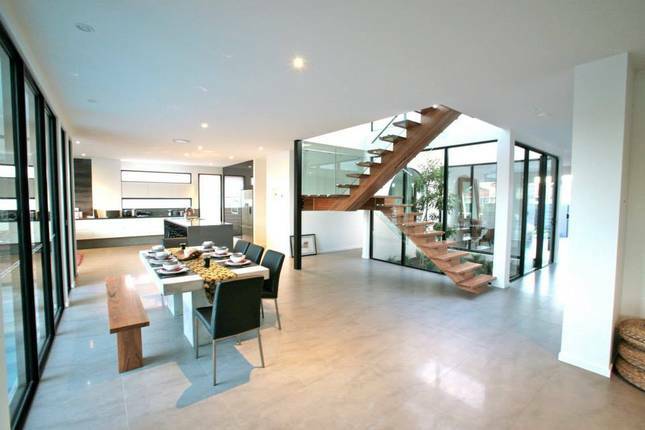 One of our favourite features, is the minimalist staircase, that seems to float effortlessly within the open living space. 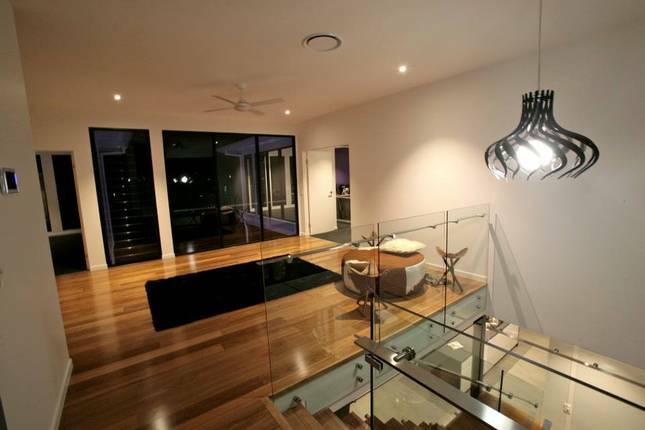 Such sophistication is to be expected from canal front housing specialists. 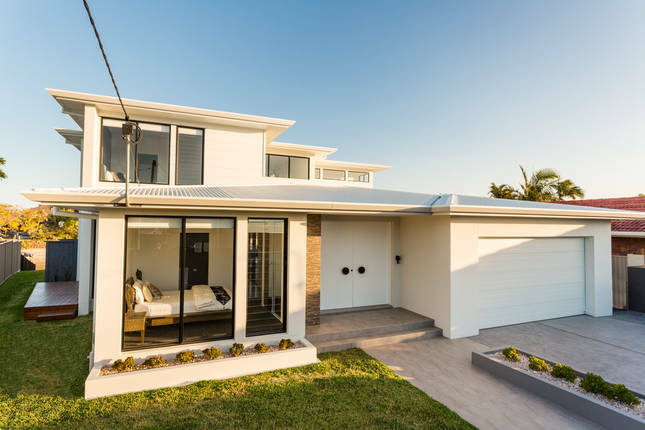 When it comes to creating contemporary waterfront homes, our Gold Coast builders know exactly what they’re doing, and they do it well.